*If you need we have some used toner available for a additional fee. 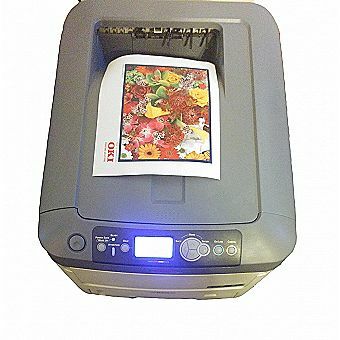 Easy connectivity-print from virtually anywhere or share on a network. Create cost-effective paper labels for packages, envelopes, file folders, discs, banners, and more. Ultra-fast, printing. The C711 Series from OKI quickly delivers high-quality output on a wide range of media – including card stock and banners up to 52 inches in length. For high-impact documents and improved workgroup performance—along with tighter control over your printing costs and security—look to the C711 Series. They’re perfect for your medium-to-large workgroup.